Welcome to the site of the Abyssinian cattery EVERHIL! EVERHIL Cattery is happy to welcome you at our site! 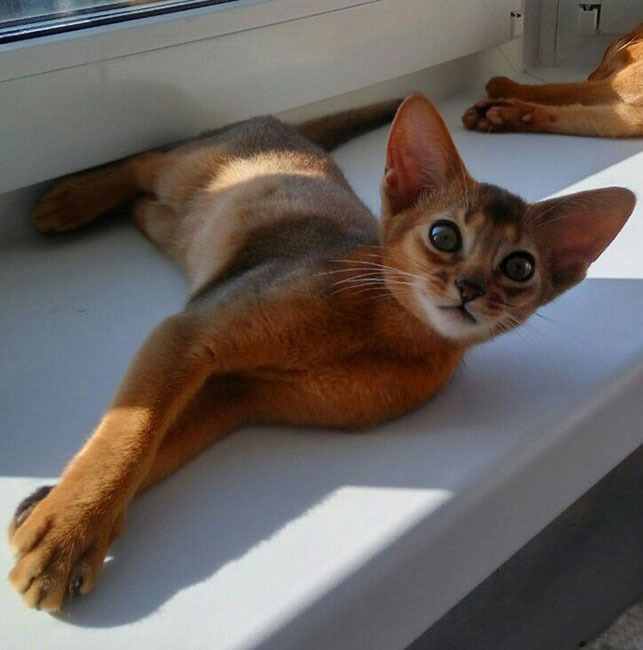 Our Abyssinian cattery is situated in Saint Petersburg, Russia. In our cattery you may reserve and buy Abyssinian kittens of different classes and colours from the award-winning parents registered in WCF and CFA. The Abyssinian cattery EVERHIL is engaged in breeding of Abyssinian cats and kittens of classical and American types. All Abyssinian cats in our cattery are in perfect health and have no genetic diseases. Our Abyssinian cats and kittens are members of our family; they live in home environment and get along well with each other. They are our best friends; they are clever, smart, intelligent, sociable, active and totally devoted to humans. If you are thinking or dreaming of acquiring an Abyssinian kitten, we shall gladly make your dream come true. And in your home you will have a loyal friend, a little miracle, bright sunshine, a fluffy ball of happiness and a hyper emotional creature – an Abyssinian kitten of EVERHIL.